Today we will take a look at how to enter a pending order in your MetaTrader 4 platform. MetaTrader is the most popular trading platform among retail traders which is why we will focus our tutorials on this trading platform only. You will get the download link to your trading platform from your forex broker when you open an account or you can download the PaxForex MetaTrader 4 by clicking on the link provided. 1. Open your MetaTrader 4 platform by double-clicking on the MT4 icon on your desktop. 5. Now you need to do the following three things which are highlighted by the green, red and blue box. First you will select the volume in lots which you would like to trade, add a stop loss level as well as a take profit target in accordance with your risk management. This area has been marked by the green box in the above picture. Now you have to select the type of order you would like as you have four options: Buy Limit, Sell Limit, Buy Stop and Sell Stop. This area has been marked by the red box in the above picture. Once you have selected your order type all that is left to do is click Place which is marked by the blue box in the above picture. 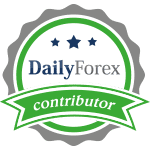 Forex investing success is not a stroll in the recreation area, consequently it pays to obtain higher top quality Forex investing exercise from appreciated and certified sources. Great post! @S.Madxen: Thanks for the kind words.